Scenario: You’ve decided to move, but you have to sell your current home first. Many homeowners find themselves in this situation, because extra money is needed to either be able to pay two mortgages for months (potentially) or to qualify to purchase the next home while still owning the old home. Now you have to sell your home while you still live in it. This brings up a lot of questions for homeowners. How will you protect your family? How will you keep the house clean? What if someone steals something? Don’t worry, these are common questions and there are solutions. In this post we’ll cover everything you need to do when selling a home while you still live in it. Moving stinks, but living in your home while you sell it gives you extra time to pack. Rent a secure storage unit or make storage space in the basement. Start packing up the things you’re not using daily but want to keep long term. Packing Tip: To help you find things in storage, use clear bins and/or tape a list of contents to the top or side of the box. This will help you in case you have to get something out of storage unexpectedly. It’s amazing how much stuff we accumulate when we have lived in a house for a while. Now is a great time to get rid of all that extra stuff. 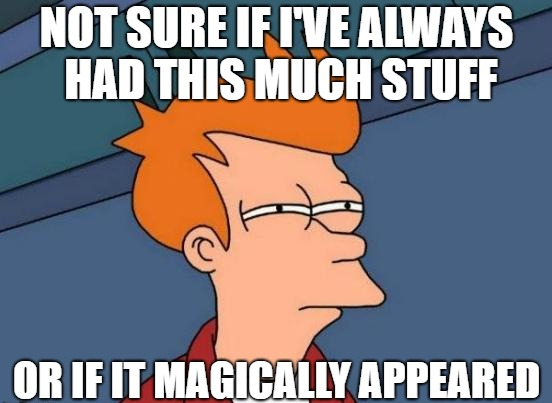 Purging Tip: Weigh the cost of storing and moving an item against how badly you really want or need that item. If it’s not valuable, will be relatively cheap to replace later, and you don’t use it often, get rid of it now. If an item is trash, throw it out. If someone else can use it, consider donating it. Or, have a garage sale and make a little cash to help with moving expenses. Once you have all the excess stuff out of the way, it’s time to clean every nook and crevice in the house – top to bottom. Hire a house cleaner to help if you need to. No judgement here, we all have cleaning weaknesses or chores we hate doing, but now is the time to take a critical eye to your home’s cleanliness. Pay close attention to the kitchen and bathrooms. They need to really shine, because potential home buyers focus on these rooms. Clear stuff off counter tops as much as possible. Small appliances need to be packed up or put in a cabinet, and even items such as beauty products need to have a new home. Consider replacing anything that looks worn out or permanently dingy (vents, doorknobs, light switch and outlet covers, etc). This is also a great time to freshen up paint throughout the house. Your goal is for the entire home to be fresh, sparkling clean, and pleasant smelling. It’s worth it to get this right, because a spotless house could gain you an extra $2,000 or more on your home sale. That’s great motivation! Once a house has been deep cleaned, it is easier to keep it clean at all times. Use the “clean as you go” or “leave no trace” cleaning method to keep the home clean. If you don’t already utilize a cleaning service, consider hiring one to come weekly while your home is on the market. Curb appeal is important. Buyers can be instantly turned off by what they see as soon as they pull up to your home. It could be perfect for them inside, but if their first impression is poor, it could sour the whole showing. 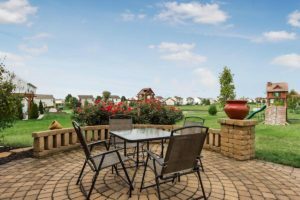 Just like you need to deep clean the inside of your home with a critical eye, it’s important to consider the appearance of the yard and the home’s exterior. Store or get rid of any toys or things in the yard that aren’t being used. Clean any play sets or patio furniture that you will be keeping in the yard. Trim bushes, cut grass, weed flower beds, and remove leaves to tidy up your outside space. Have the exterior of the home pressure washed and/or painted if needed. Fix gutters, doors, or loose porch railings (you may be surprised at how often buyers test railing to see if it’s loose). Finally, use cheap but showy annual flowers to add pops of color outside. Add fresh mulch where needed. While your home is listed, keep the grass mowed and flower beds neat. As homeowners, we get used to the leaky faucet, the door that sticks, the cabinet that doesn’t close straight, or the toilet that runs if you don’t flush it just right. However, when you get ready to sell your home, all these seemingly minor quirks can make a buyer think the home isn’t well-maintained. Now is the time to repair or replace all those nagging to-dos that you just haven’t had the time to tackle. Consider having a pre-listing home inspection done to avoid any major surprises. The home inspector will give you a list of items to fix (and they always find something). You can use this list to fix items you otherwise may not have noticed. People WILL open drawers, closets, and medicine cabinets. Get these organized and lock up anything of value while you’re packing up non-essentials. This will help you anyway, because having empty or half-empty cabinets and closets makes it look like you have more storage space. If you don’t already have a fire safe for important documents, consider investing in a safe and putting it in an inconspicuous place in the home. Lock up sensitive documents and valuables. When your home is being shown, don’t leave anything of value out that someone could easily walk off with. Few things put-off buyers like personal items. While you’re packing, store family photos, kids’ trophies/awards, and anything else that makes the house your home. Not only will this help buyers see themselves living in the house, it will also protect the privacy of your family. Think about it. Do you want strangers walking through your home to know what your kids look like or what sports team they play on? Probably not, so go ahead and pack up personal items. You will also want to de-personalize how your home smells. While your house is for sale, avoid cooking things with strong odors. Use baking soda throughout the house to neutralize the overall smell of the house. Baking soda works great and it’s cheap. Keeping a home clean and “show-ready” can be especially challenging with pets. The goal is for prospective buyers to focus on the property, not the pets that live there. 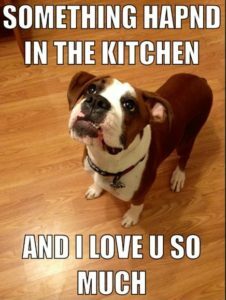 The best practice is to remove all pets and evidence of pets when the home is being shown. Consider sending the pet(s) to stay with a friend or in day care. Or, take pets and all their belongings with you when you leave the house for a showing. If pets stay in the home while it is for sale, you MUST control fur and smells. Vacuum regularly and clean litter boxes and pet-messes promptly. It is common for us to become nose-blind to our pet’s odors, so ask a trusted friend, neighbor, or your agent if your house has pet odors. 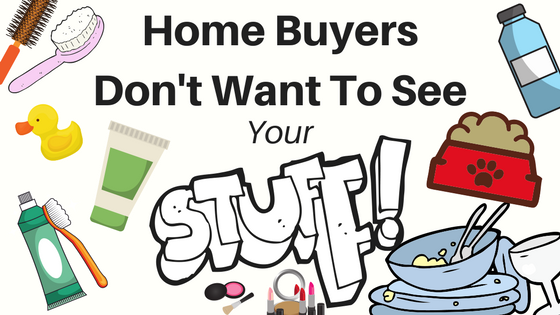 You will want to be as accomodating as possible when buyers request to see your home. Communicate with your agent about your schedule and any times that you cannot accept showings. This will help, but last minute showing requests will still happen. Have a plan in place and a checklist to quickly get your home ready for showings. Consider keeping small vases of fresh-cut flowers on tables and a pretty bowl of lemons on the kitchen counter. Right before a showing, do a quick clean, turn on all the lights, open blinds or curtains, and make sure the tempurature is comfortable – turn on heat or air conditioning as needed, turn on ceiling fans, or even have a fire going if it’s cold outside. 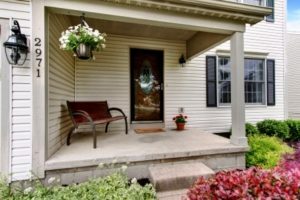 When your home has a showing or an open house, get it ready and then get out. 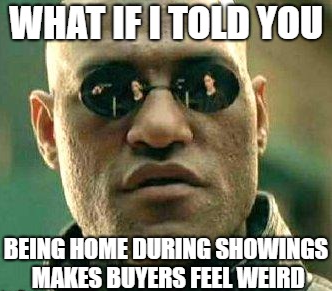 The homeowner being home during a showing makes buyers feel awkward. Use the time to walk the dog, take the kids for ice cream, or run errands. After a showing, you may get negative feedback. Don’t take it personally. If the issue is something you can fix, do so promptly and let your agent know. Yes, it’s a pain to deal with showings, but if you prepare properly, price the home correctly, and work with an experienced real estate agent, the home will sell more quickly. You may start getting offers right away! When you list your Columbus home with The Rita Boswell Group, you benefit from Rita Boswell’s years of experience, a staging consultation, and cutting-edge marketing (including professional photography). We personally know the challenges of selling a home while living in it, so we want to help you sell it as quickly as possible for as much as possible. Contact Realtor Rita Boswell today at 614-547-3229 to schedule a listing consultation.